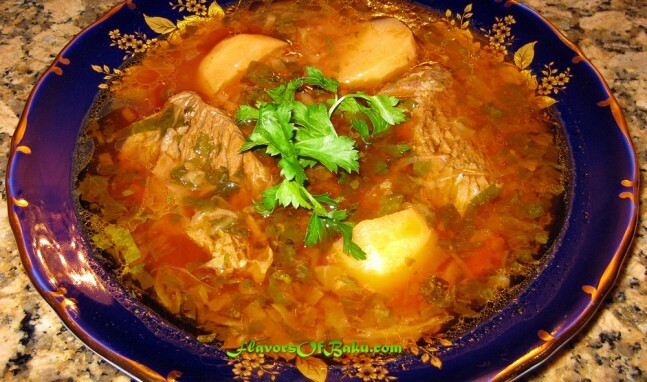 Borsch, as a famous red Russian soup, is very popular in Baku city. 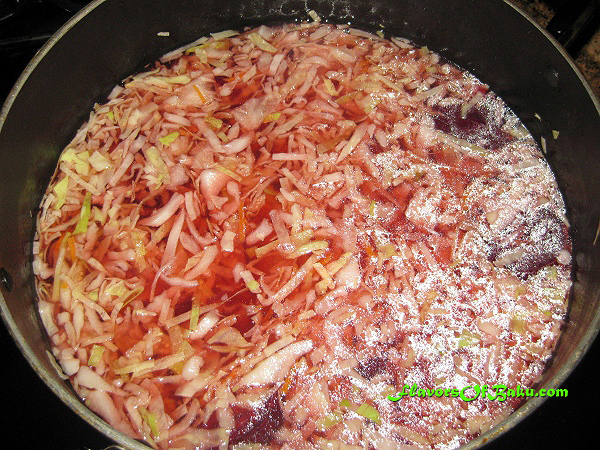 The beetroot used in borsch gives the soup its trademark, deep red color. 1. 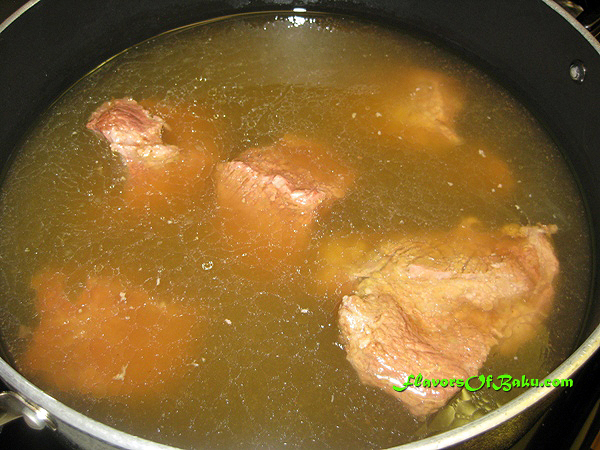 Cut the beef into portion-size pieces, place them in a pot, add water, and bring to a boil over a high heat. As it comes to a boil, skim the foam off. 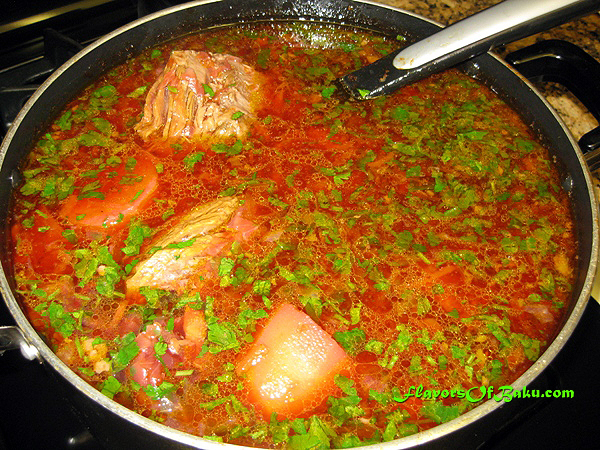 Reduce the heat to low, add salt, and simmer until the beef is cooked and tender. Then, remove beef from the pot, strain the stock through a fine sieve into a large pot and place the beef back into the stock. 2. Peel the raw beetroots, cut them into large pieces, and add them to the stock. 3. 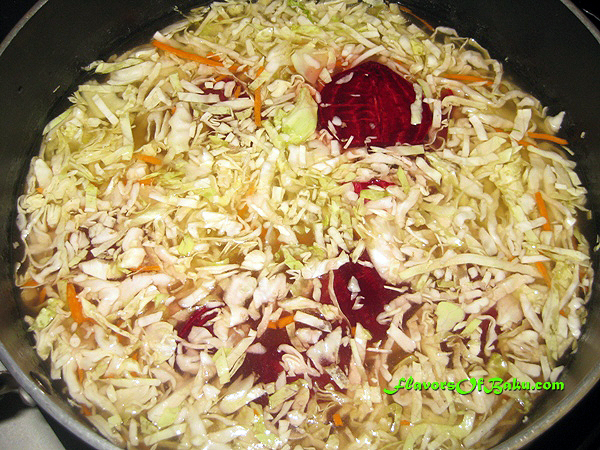 Add shredded cabbage to the stock. Cook everything together over low-medium heat. Do not let your broth come to a boil. 4. 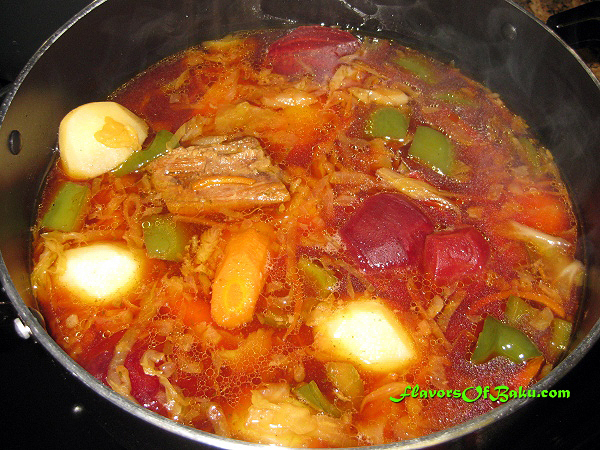 Peel and cut potatoes into a large pieces and add them to the borsch as soon as your cabbage is softened and cooked. Add bay leaves and chopped green bell pepper. 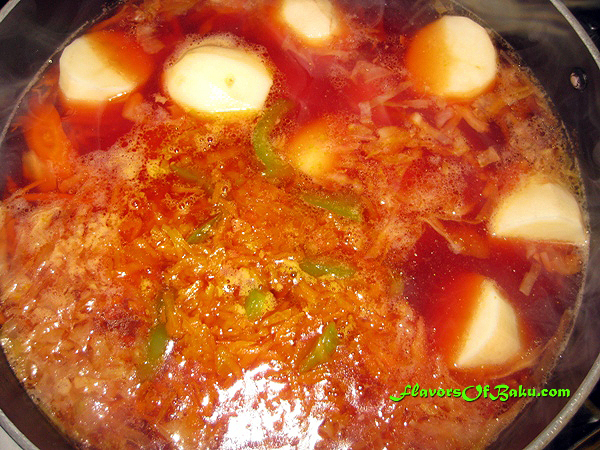 Simmer over low heat until potatoes are cooked. 5. Chop the onion. Grate carrot through a grater. Fry them together in the butter until they are soft and lightly golden. 6. 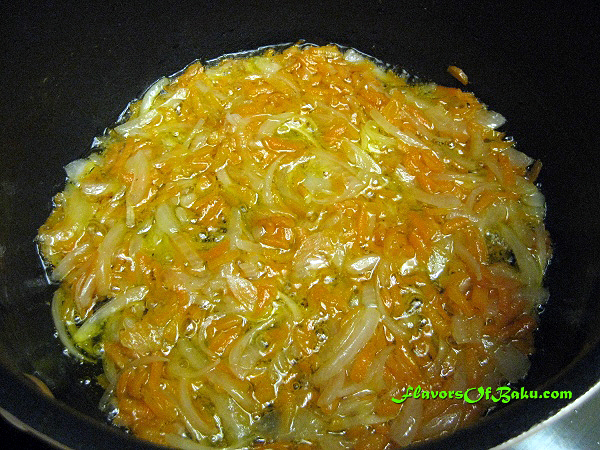 Add peeled and chopped tomatoes to the fried onion-carrots, and simmer for 5-10 minutes. 7. 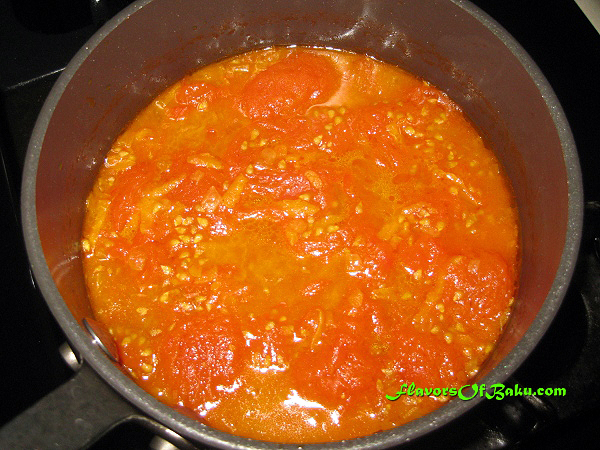 Place the onion-carrot-tomato sauce into the borsch, mix, and simmer over low heat for about 20 minutes, until carrots and onions are very soft. 8. Add chopped parsley and garlic. Turn the heat off, and serve on the individual plates.